The Washington Apple Cocktail tastes a bit like a boozy apple. 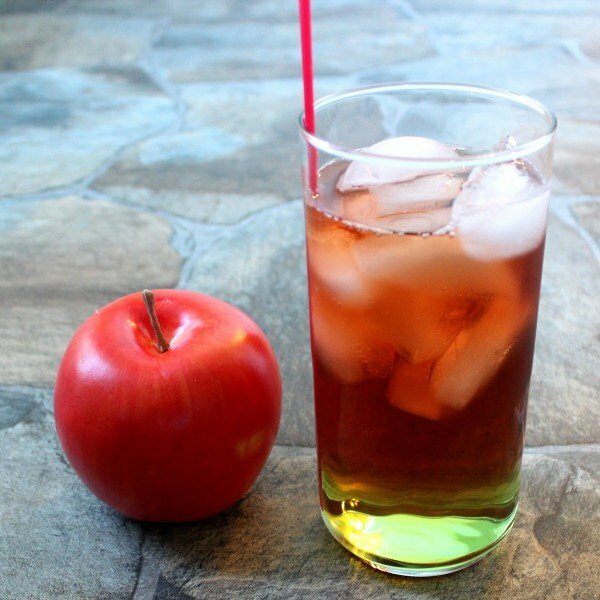 A healthy dose of whiskey combines with Sour Apple Pucker schnapps and cranberry juice. The taste is tart with underlying sweetness. This drink looks cool, too – if you pour it as instructed, the bright green Sour Apple Pucker stays on the bottom and the Crown Royal and cranberry juice sort of float on it. This is a great drink for impressing guests – it’s easy to pour, but you wouldn’t know that from looking at it. Fill a highball glass with ice. Pour the Sour Apple Pucker followed by the Crown Royal and then the cranberry juice.